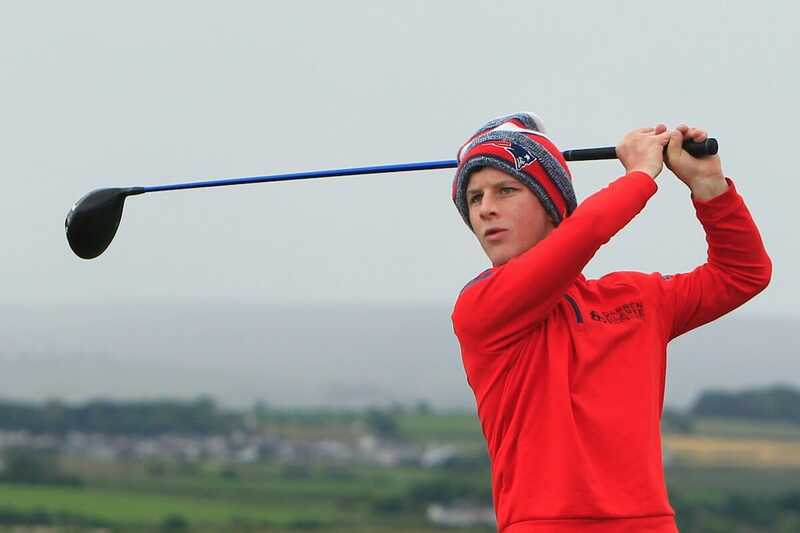 This week he faced a 24-hour voyage just to reach his golfing destination but travelling to Australia for a tournament is nothing compared to the journey that 21-year-old Brendan Lawlor has taken through the game of golf. Born with Ellis-van Creveld syndrome, a rare bone growth disorder, Lawlor has shorter limbs and at 4’11, stands apart in most company. His golf gives him elevated stature. On Friday he plays The Lakes Golf Club in Sydney, venue for the Australian All Abilities Championship, which takes place alongside the Australian Open. The crowds will come to watch stars of the professional game – PGA Tour players like Keegan Bradley and Matt Kuchar, home favourites Cameron Smith and defending champion Cameron Davis – and yet they are just as likely to be wowed by an unknown Irishman in the field. Lawlor is one of 12 players competing in a world-first championship for golfers with a disability. Playing the same course, at the same time and under the same playing conditions as the professionals, Lawlor and co are contending for the Australian All Abilities Championship. The Australian All Abilities Championship coincides with an announcement by The R&A and the USGA that they will administer a World Ranking for Golfers with Disability. The new rankings will begin on 1 January 2019, by which time Lawlor, currently ranked three in the world, could well be the world number one. The Co Louth native, a member of Dundalk’s Leinster-winning AIG Barton Shield team in 2018, plays off a handicap of two. It is only in the last 12 months that he has started competing in disability golf. Until then, all of his competitive golf was at home playing in regular club competitions or GUI championships. Lawlor has won three times on the European Disabled Golf Association (EDGA) tour this season and that run of results brought him into consideration for the trip to Australia. After this week’s tournament in Sydney, Lawlor travels to Melbourne for a Ryder Cup-style match. A six-person EDGA team will be pitted against their Australian counterparts for a two-day encounter at The Metropolitan, which stages the World Cup of Golf. The Golfing Union of Ireland have backed Lawlor with a player grant and equipped him with official Ireland Golf playing apparel, which he will wear during competition. Through his GUI connection, Lawlor will get to meet with Shane Lowry and Paul Dunne prior to the World Cup of Golf in Melbourne. During his Antipodean adventure, Lawlor will have to get accustomed to the company of professionals. For the final two rounds of the Australian All Abilities Championship, he will be paired with a pro. The EDGA match against Australia takes place on the Friday and Saturday (22 and 23 November) of the World Cup of Golf. “It will be some change from Ireland,” said Lawlor but then he’s been breaking the norm for quite some time.